* School transportation provided by host family or school bus. * Airport transportation free to and from CLOSEST airport to host family home. * Homestay Damage Deposit Fee is refundable (less damages) and only following completion of accepted homestay placement term. * Semester Homestay Fee is due in full (7) days prior to formal student placement. * Semester Homestay Fee will vary depending upon student’s selected placement and transportation requirements. * All homes are located within 40 minutes travel time to the student’s place of study. * Study Term Homestay Fee is due in full (7) days prior to formal student placement. * Study Term Homestay Fee will vary depending upon student’s selected placement and transportation requirements. * Transportation provided by student, host family or Transit bus. 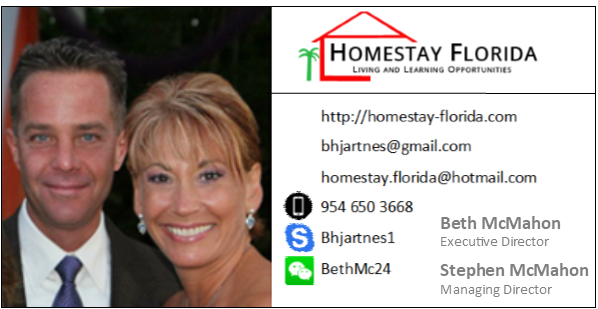 Homestay Florida makes every effort to select honest and bona fide host families. Host families are carefully screened and submit to a state and national criminal background check. Each home is pre-inspected for suitability to host an international student. Despite our due diligence, Homestay Florida cannot be held responsible for any undesirable or negligent actions by the host family. To ensure that their Homeowner’s Insurance Policy is inclusive of incidents caused by boarders. All damages are the responsibility of the student. Please note that accommodation will not be confirmed until the Homestay Damage Deposit, Home Placement Fee, and Semester Homestay (college and university students) or Study Term Homestay (language school students) fees are paid in full..
Homestay Damage Deposit Fee is refundable following completion of accepted homestay placement term. This fee in non-refundable in the event of student cancellation of the arranged homestay. All payments to Homestay Florida must be paid by either check or wire transfer. If payment is made by wire transfer, then an additional $35 wire transfer fee is assessed. Homestay placement is for a minimum of 4 months (over a one semester term). A partial, prorated refund of homestay fees is only provided in extreme circumstances ,determined solely at the discretion of Homestay Florida, after the student’s arrival. 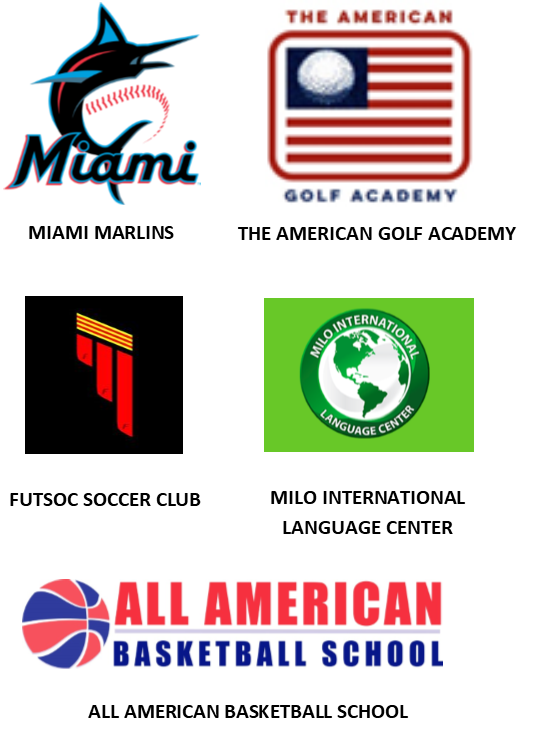 If a student wishes to change his/her Homestay Florida accommodation, the student must inform Homestay Florida and provide a two weeks advanced notice in order to allow Homestay Florida to locate another suitable Homestay Florida host family accommodation. If a student wishes to change his/her Homestay Florida accommodation a second time, then an additional Home Placement Fee will apply. A change of family after the initial relocation will be treated as a new placement and a new fee must be paid. Signing the student application form and/or moving in to your assigned homestay indicates that you have read and understood these terms and conditions and agree to abide by the rules and regulations of Homestay Florida as outlined above.